The 1972 Sunoco NFL Stamp set includes 624 unnumbered stamps that were handed out at gas stations in 9-player booklets. The players are organized in teams in sets of 12 offensive and 12 defensive players. Each stamp, which measures 1 5/8" by 2 3/8", had to be punched out of a perforated sheet and was then intended to be placed in an album. As the rosters changed, Sunoco issued an update set of 82 more players. The stamps in the update set were issued in much smaller numbers and do not official spot in the album. These 1972 Sunoco Update Stamps are much more expensive than the stamps in the regular issue, and are not considered as part of the standard set. 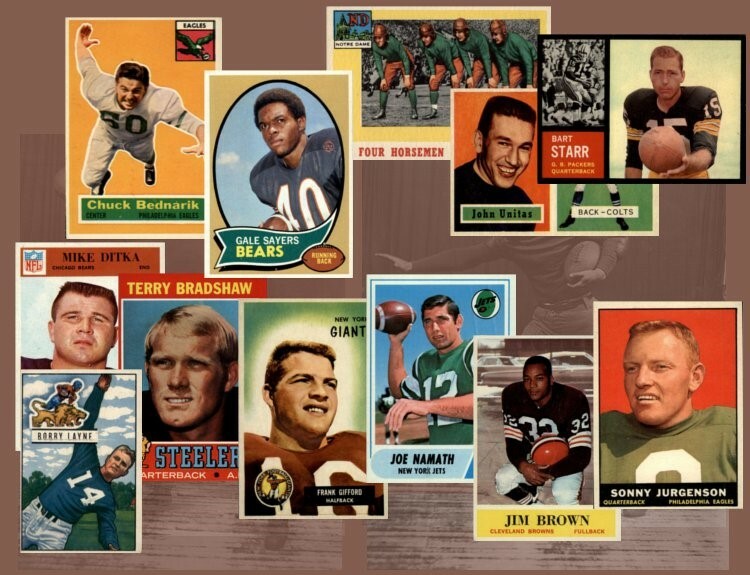 The key rookies included in the 1972 Sunoco Stamp set are: Roger Staubach, Jack Youngblood, Archie Manning, Art Shell, Mel Blount, and Steve Spurrier. CLICK HERE if you want to sell your 1972 Sunoco Stamps cards. Showing 1 to 100 of 566 products.